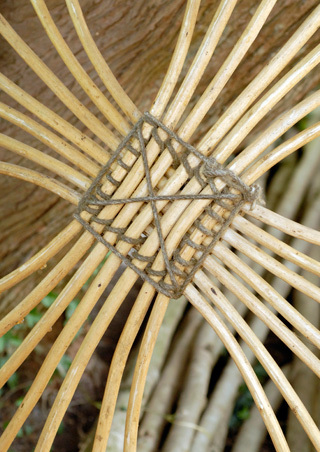 The expectation is 40hrs/week work on yurt making with a willing and open heart. 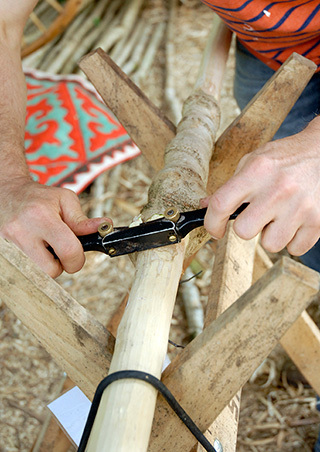 In exchange you get to learn how to make the frame of a coppiced yurt. Quite possibly you will be involved in some of the canvas work too (but that’s not guaranteed). Accommodation includes staying in a yurt in a beautiful woodland area, compost loos, wood fired showers and lovely communal cabin as a living space. Your food will be provided for the 4 weeks. Possibly there will be an opportunity to get involved with the hire side of the Fairlove Yurts business as well. “I’m a Belgian student from a Waldorf school and specialised in Sustainable Living. For my thesis I made a 16 foot yurt. After this experience, I wanted to go deeper into the subject. 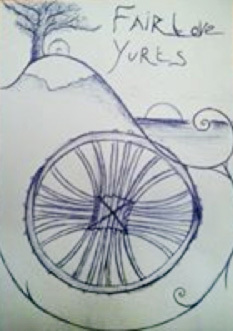 So for my internship I searched for a yurt-builder. The amazing crew of Fairlove Yurts , blew my mind! This master yurtbuilder makes the most stunning yurts. From a 14 foot til a Multi Yurt and a grand yurt. It was an honor and a pleasure for me to work with them. Their knowledge and respect for yurts showed me a whole new world.